You are here: Home / Contributors / Social Media: It’s About the Relationships! At a recent Independent Schools conference, I was talking about social media with a Head of School (not my own) who said dismissively, “Oh, we outsource all our social media.” I didn’t say anything, but inside I just cringed. Outside social media consulting firms can certainly be valuable for independent schools if you need assistance with crafting a social media strategy. But if you are using an outside consulting firm just to post content for you, essentially pushing press releases or school news on an otherwise static page overseen by someone outside your organization, you are missing the boat! 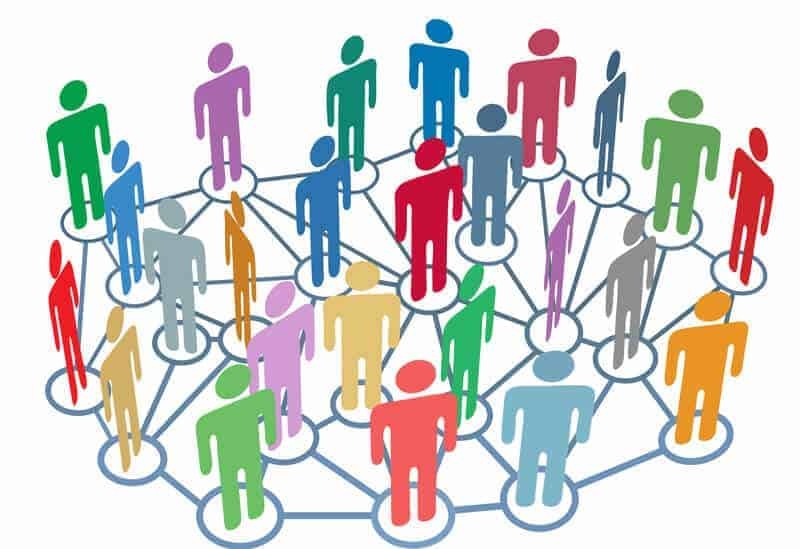 Using social media to build relationships is CRITICAL to schools, and that means active involvement by school administrators, faculty, and staff. Many schools think that they are “doing social media” simply by putting promotional content or announcing school events on a school Facebook page once a month. I suppose that doing something that is better than doing nothing, as long as the content is updated regularly. (Having a Facebook page or twitter account with old, out of date content is worse than not having an account at all.) But if you aren’t using social media outlets to build relationships with your constituents, you are missing most of the value! The Head of our Lower School, Catherine Koos (@ckoos1), first showed me the power of building relationships with a school community on Facebook. She has a school Facebook page under Misses Koos on which she publishes pictures and videos of Lower School events during the school day and actively engages parents in conversation. She uses a Flip camera or her iPhone to upload content to Facebook quickly and easily. Our parents love seeing what their children are doing throughout the day! Several of our Lower School teachers also have class Facebook pages (overseen by a school administrator, and developed using school guidelines) that they use to communicate with their students’ parents (not the students themselves) and extended family members (like grandparents.) They might post pictures of student work, share high points from the day, or post a “thank you” picture of a present given to the class – like a picture of a child reading a book in a bean bag chair donated to the classroom. We also have a school Facebook page with regularly updated content – including pictures and videos of events that are posted on the same day, often within an hour of the actual event – and an alumni Facebook page. Our webmaster manages the school Facebook page but individual teachers and Catherine Koos manage their own pages. 1. Publicize all the great things happening at your school. Not once a month, but every day! 2. Build relationships with local media outlets. We have networked and built relationships with local reporters through Facebook and Twitter. In addition to promoting our own school events this helps us stay abreast of what other schools in our community are doing. 3. Build relationships with your school and local communities. This includes students, parents, grandparents, neighbors, local businesses and the general public. Independent schools know how important it is to build positive relationships with parents and other the school community members. This builds school loyalty, improves retention, encourages donations, and makes parents feel really good about their decision to send their child to your school. Remember, people are much more likely to donate to an organization to which they feel emotionally connected. Furthermore, Facebook is a great way to connect with geographically distant grandparents and other relatives. My grandson attends an independent school in New Hampshire and while they have a Facebook page they don’t update it very frequently. I live in Florida, and I wish I could see more of what he is doing at school and get to know the school better. Would having a closer relationship with his school make me more likely to donate money? You bet it would! Don’t view social media as just another checkbox on your marketing “to do” list. Tap the power of social media to build those critical relationships! @[email protected] Absolutely, social media can play a huge role in developing a positive digital footprint for both individuals and schools. And this is not just for independent schools! Our public school colleagues should be building relationships with their school communities through social media as well! Thanks, Susan! Another great post. You did a great job at your last parent coffee at Holy Trinity educating parents about their digital footprint. Social media can be a big part of that. I am thankful for your tweets as @HTEATech and I sometimes even retweet them as @MrsKoos because I don’t want people to miss your great advice for parents.